Crime and Punishment centres on Rodion Raskolnikov (David Collings), a failed St Petersburg student, who plans to rob and kill a vicious moneylender. Raskolnikov compares himself to Napoleon Bonaparte and believes that he is a superman, above conventional morality. He persuades himself that he can use the moneylender’s cash to improve the lives of others. But when Raskolnikov attacks Alyona (Patricia Hayes) the moneylender, he is interrupted by her bullied and oppressed sister Lizaveta (Meg Simmons) and kills both women. Shocked by his actions and the collapse of his theories, Raskolinkov almost gives himself away. 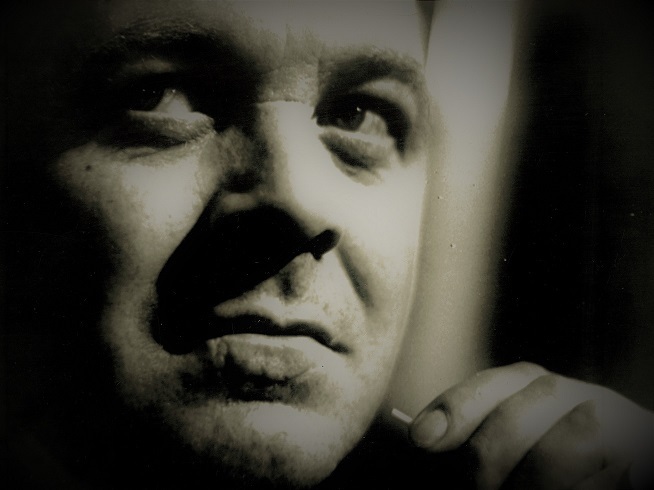 Chief Investigator Porfiry Petrovich (Patrick Wymark) suspects that Raskolnikov is the killer but has no evidence. He begins visiting the young man, engaging in discussions in an attempt to provoke Raskolnikov into giving himself away. Produced and directed by Cyril Coke, the production was dramatised by Stanley Miller, who had written the February 1964 Plane Makers episode A Paper Transaction (a battle of wits in which Wilder desperately sought to find the psychological weak spot of a cost-cutting accountant). Miller would go on to write BBC adaptations for Sherlock Holmes and Out of the Unknown and would later team up with Coke to write episodes of the Rediffusion spy thriller The Rat Catchers on location in Corfu. Wymark’s co-stars were Douglas Wilmer (soon to be the BBC’s Sherlock Holmes) as the amoral Arkady Svidrigaylov, Julia Foster as the oppressed Sonia, and Peter Bowles as the comic Razumikhin. The demanding role of Rodion Raskalnikov was performed by 25 year old David Collings, who was given a special “introducing” credit. Collings had never attended drama school. As he later told Alan Stevens , " I didn’t really set out to become a professional actor at all. While appearing in amateur productions during the early 1960s, I was seen by a fine actress called Freda Downing, and she rather kindly recommended me to a director called David Skace. He had recently taken over the Liverpool Repertory Theatre, and he rang me and asked if I would like to turn professional and join his company. " Eleven months later, John Slater (Passport to Pimlico, Z Cars) was making a guest appearance at Liverpool Rep as Bottom in A Midsummer Nights Dream. Collings was playing Flute in the same production and Slater recommended him to Cyril Coke. Julia Foster was called in to read with Collings during his audition and both were subsequently cast. The two hour production (with a break at 9pm for a five minute news bulletin) took four days to record. As The Times commented, Miller’s adaptation necessarily removed a lot from the novel which had originally been published in serial format. "If it somewhat reduced the effect of the police officer Profirys struggle to induce a confession from Raskolnikov by allowing all the consequences of his crime, even his sisters fatal encounter with Svidrigaylov to appear, it left the action firmly rooted in the mind and conscience of the murderer. " "In spite of the script emphasis on the internal drama of conscience, the clash of Porfiry and Raskolnikov remained the essential externalization of the inward struggle. 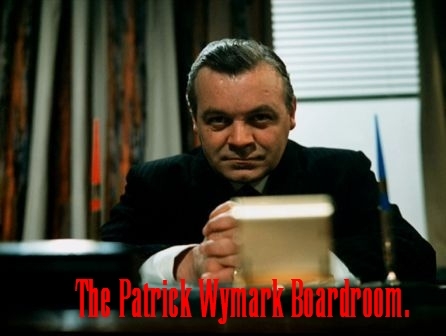 Patrick Wymark made Porfiry fascinating but enigmatic, a universal inquisitor, not the voice of an impersonal conscience. David Collings was never the Napoleonic superman – the arrogance which made him a murderer never appeared. But his performance grew movingly toward the final surrender. " Wymark’s performance as Porfiry appears to have been lost to the tape-wiping epidemic, although since the adaptation was screened by America’s WNET in 1967, there’s always a chance that a copy will emerge. Levinson and Link admitted that the basic format of Columbo was based on Crime and Punishment (Wymark characterised Porfiry as chewing on a matchstick rather than a cigar) and this blog outlines the unique nature of Porfiry’s methods: “He’s not in the least like Javert, the detective from Les Miserables, who believes so fully in good, evil, and clear-cut rules of justice that he cannot handle it when shades of gray are revealed. Porfiry knows that people are complicated. He knows Raskolnikov is more mentally unsettled and broken than he is evil. And I think the detective feels sorry for him, in a detached sort of way. Nonetheless, the murderer must be convicted and serve his sentence."